A recent report from the travel industry advocacy group EyeforTravel asked 183 respondents across all omareas of the global travel industry landscape about what facet of the travel industry keeps them up most nights. It’s an interesting question, especially given how volatile and variant-rich today’s travel industry can be taken into account the sheer volume of suppliers and network partners. Even so, the overwhelming response to this question was the need to stay ahead of technology and keep pace with the development of new digital platforms or methods of doing business. And this is especially true for mobile bookings and ability of today’s traveler to source, research, and complete bookings on devices no bigger than the palm of their hand. In fact, EyeforTravel’s May 2016 survey and resulting report identified a number of interesting statistics regarding the continued development of mobile technology that can be applied to travel agents, tour operators, product and service providers, and even consumers. Travel agencies and mobile apps. These two concepts might seem to represent two very different time periods in the travel industry. The old and the new. The traditional and the state-of-the-art. Yet, today’s travel agencies would be well-advised to not only understand the value mobile travel apps can provide, but also embrace and adopt them as part of their operational platform. Rather than being suspect of mobile apps as an alternative to the traditional travel agent, agencies should view mobile apps as an important tool to reach today’s younger traveler where they spend most of their time - online and connected to their smartphones. As travel agencies have to work harder to remain competitive in a global, connected marketplace, mobile apps provide agencies a direct line to travelers by cutting through much of the noise other travel companies can’t avoid by failing to adopt a mobile app strategy. 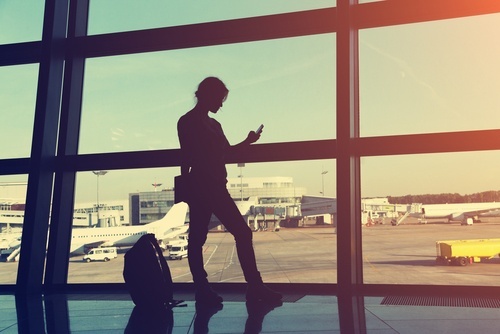 How are Mobile Apps Changing Travel Habits? Measuring the impact of travel apps on travel habits is not an easy question to answer; perhaps it’s not even the right question to be asking. Everyone who travels can recognize the relentless impact technology is having on commercial and leisure travel. But getting past the influence of personal travel experiences (that guy just boarded with his smartphone!) to make sound observations on technology and travel isn’t as straightforward as it might seem. 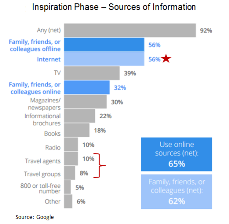 Yet that’s the challenge: to look at travel technology – specifically mobile apps - and determine what effect, if any, they’re having on travel habits.